FFXIV Patch 2.4 is finally here!!! Here’s our “human friendly” FFXIV 2.4 patchnotes and changelog! As usual we will have 2 major chunks in this guide, a starting quest table and new content guide. Players must first complete the main scenario quest “The Ultimate Weapon,” and have completed The Sunken Temple of Qarn. For the first time in FFXIV:ARR a new class and job are introduced! Rogue and Ninja! As far as we know the Rogue and Ninja are Melee DPS classes which HOPEFULLY uses DEX as their main attribute so the loot distribution will be more even. Since Ninja is an advanced job, we currently do not know what the other level 15 class requirement is. We will be updating that when we can! On Ninja Gear & Stats: Ninjas will be using any gear Monk can use that was introduced PRE 2.4. Coming 2.4 (FCoB Allagan drops), Ninja will have their own unique gear drops. Their main stat is DEX, and as such will be sharing right side drops with Bard. Ninja Primal Weapons and Relic weapon will be introduced as well. The Rogue class cannot be chosen upon character creation. If you’re a new player wanting to be NINJA you should choose Pugilist then level it to 15, then proceed to become Rogue. ROGUE GENERAL GUIDE is up as well as NINJA GENERAL GUIDE. Snowcloak: A brand new dungeon featuring FENRIR! The BGM of this dungeon is super sweet! Sastasha (Hard): It’s DEFINITELY Pirates! The sweet name on that one! 2.4 DELIVERS with, almost certainly, 4 more bosses! Is it time to see… “Him”? Item level is 130. Supposedly boss 3 and 4 are “Huge Spoilers”. The Oil of Time and Sands of Time system will be re-implemented in this coil (with different name of course). The new High Allagan gear (130) is called DREADWYRM. You have come far… to know the truth. Mythology is now gone, Soldiery taking its place. Poetics is the new highest tier tomestone. Poetics tomestone gear is called IRONWORKS, with raid drop upgrades AUGMENTED IRONWORKS. 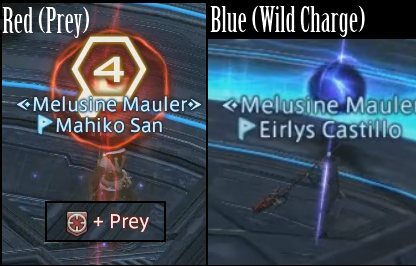 i110 Crafted left-side is confirmed. i110 right side (accessories) will probably come in a future patch. IXALI OAKNOTS are very important for these upgrades. So if you’ve been lazing off in your Ehcatl Nine quests… (like me) it’s time to help some beastmen. The ability to help train friends in coil even if your loot lockout is finished. Well I think that’s about it! If you have anything to add, or we missed something let us know! As always, like us on Facebook for updates!